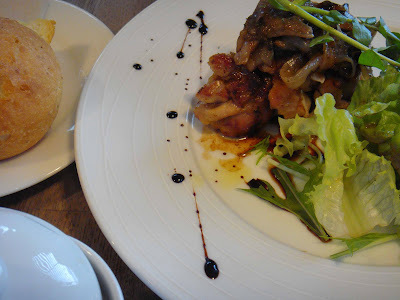 Last Sunday we went to cafe medewo in Jiyugaoka, Tokyo. 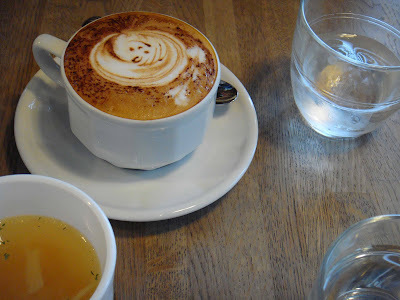 Actually we wanted to visit cafe one that day but the place was full, so we made a quick decision on the spot - to medewo. They are totally different in style and service, but it was not a bad choice. 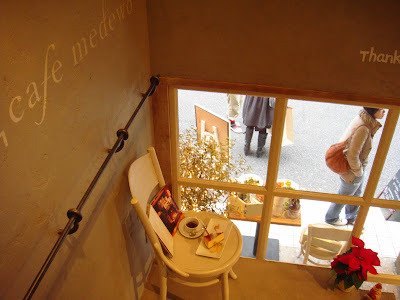 Stylish and modern in design, cafe medewo has a taste just like the town Jiyugaoka. 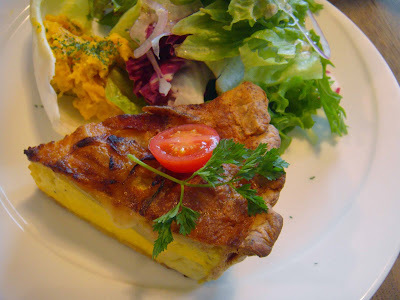 I had a quiche myself, and my wife ordered a plate of grilled chicken and mushroom. 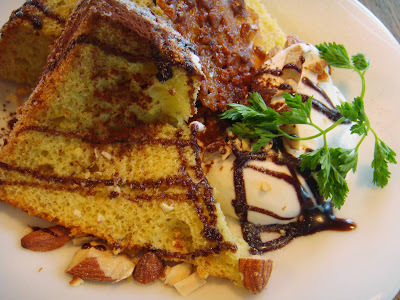 Her was the special lunch set of cafe medewo, bread and desert included. There was nothing surprising, but we were satisfied with the meal. One of the design uniqueness of medewo is that it is located on the 2nd floor of a fashion boutique, but it has its own facade on the entrance. The way the 2 different shops interacted reminds me of shimauma cafe. 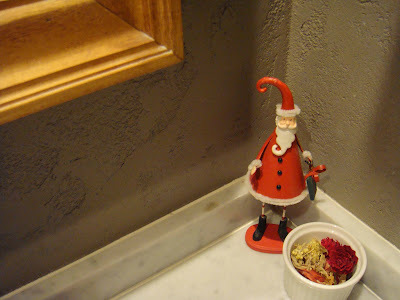 They really match the atmosphere of Jiyugaoka.